Most designers work by the motto that the “client is always right” and do everything in order to make sure they are kept happy. But it’s not always the easiest task to make the client happy, especially when you are not well equipped in the coding department. You need to hire developer and it hurts a lot as the developer will cut your profit at least in half and take away precious working time. This is a driving factor contributing to the market starting to be flooded with more and more website creators. However, most of these tools are geared to the DIY amateur creator and undermine the professional designers. It’s time we introduce you to Webydo, the community led cloud platform for professional web and graphic designers. 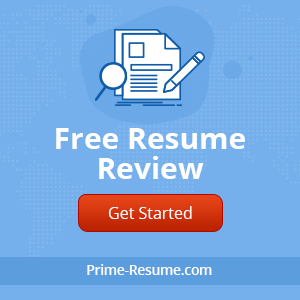 Webydo enables professional designers to work closely with their clients and create, manage and publish hundreds of pixel perfect websites, while also being able to grow their freelance business. Webydo is an online B2B website cloud software that requires no coding. You can quickly and easily turn your design into a HTML website. Webydo is even suitable to build an ecommerce website. I know some things depends on personal choice but if you take a bird’s eye view of websites created on Webydo and professional features of Webydo, you will find this revolutionary design studio quite advanced and impressive. 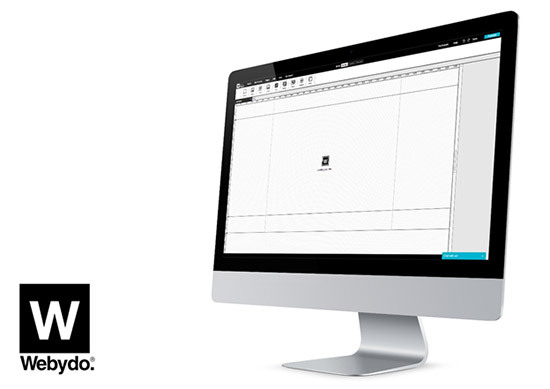 Webydo provides professional web and graphic designers with Photoshop like features so they can quickly and intuitively begin their design process. Webydo offers both you with an option to start with either the free plan or the premium plan, nearly all the professional features are available in the free package but you are limited to creating 15 pages, 1GB of storage and hosting only on a custom domain name. It is code-less and you no need to hire a developer. Webydo is working with up to 65K professional designers from around the world who have already created more than 125K websites. Webydo offers many great features, but what is most impressive is the option to create a website completely in the browser without having to download a thing. Webydo uses a cloud service which you can use to preview website temporarily. You can take the site live temporarily when you want that makes you client able to take final decision on your web design. Webydo’s cloud hosting can be used for automatic backups, fast server, and CDN which access the site with any server. 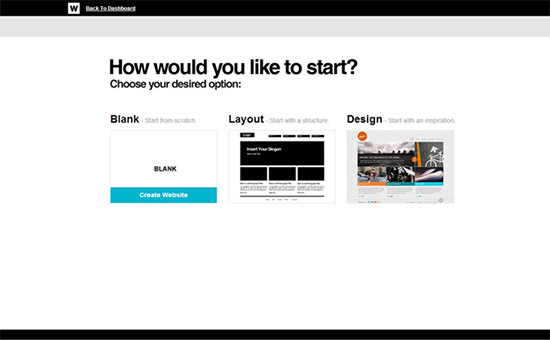 To get started you have the option to start from a completely blank canvas and let your designs run wild, edit one of the readymade design inspirations or basic layouts. This the launching pad for all the creative websites. You can work with the drag-and-drop feature and also with many other interesting features such as till, shadow, stroke, snapping, texting on photos, layers and many more. Webydo will optimize your media automatically and you can access free-open source web fonts as well. One of very important feature is CMS function. CMS allows you to work with a content management system like you can select what element should be locked or not. If you found something missing, simply head over to Webydo, look for Participate section and there you can suggest new features to this design platform. Webydo enables you to reinforce your brand with many professional features. You can start the design project for free with no pressure as Webydo aims at freedom. Webydo enables you to create pixel-perfect designs. This is very advanced web design community where you can put your creative ideas into a real shape very easily with no coding. It is worthy to give it a try Free today by creating your account and letting us know your thoughts in the comments below.